We review the top rated AA (“double A” or “L91”) and AAA (“triple A” or “L92”) Alkaline batteries from Amazon Basics, Duracell, EverReady, Energizer, Rayovac, and Costco’s Kirkland brand. 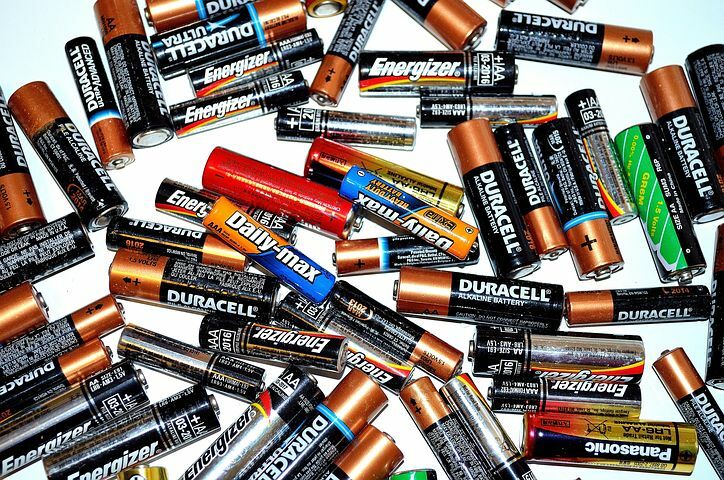 Alkaline batteries can cost under $0.25 cents in bulk packs, and can be safely stored in a drawer for up to 10 years. With about 1,000 mAh of energy in an AA, you can get months to years of usage in low power devices like wireless keyboards, mouse, trackballs, travel clocks and television remote controllers. The smaller sized AAA typically has a bit less than half (about 450 mAh) the stored energy capacity of the AA, and with a proportionally less usable life. We’ll cover the “AAAA” and rechargeable batteries in another article, since they require a section all to themselves. If you are interested Lithium Ion, here is our recent review on Longest Lasting Lithium Ion AA, AAA Batteries . There are well over a hundred consumer battery manufacturers, and each may have up to 5 different product lines. The most recognizable brands for US shoppers are: ACDelco, Duracell, Energizer, EverReady and Rayovac. You’ll find these in any big-box store, home builder store, gas station and convenience store. If you are a Costco member, you are certainly familiar with their Kirkland brand. For on-line shoppers, Amazon Basics has been expanding their battery offering to all common sizes and chemistries. The major film companies all have their own brands of batteries: Panasonic, Kodak, Fuji, Polaroid, Sony, Vivitar. And even home-goods manufacturer Ikea sells batteries.You can still buy Radioshack batteries (but make sure to check the expiration date code). Have you ever used, or heard of, batteries from any of these ~40 companies: AmVolt, Atomic, Batmax, Bexel, BestTen Blue Planet, Bonai, Camelion, Dantona, Dulex, EBL, Enegitech, Everbrite, Forewell, GoGreenPower, GP, GPISEN, Lumsing, Home Supplies, Insignia, Kenable, Maxel, Maxwell, Moonrays, Mr. Bat, Neewer, Philips, PK Cell, PowerDriver, Pure Energy, Sanyo, Silicon Power, Tenergy, Tipsun, ULTRALAST, Varta, Westinghouse, Xtech? We will stop the list here – just wanted you to know how large the market really is. This is a consumer guide to selecting a battery, and with that in mind we focused only on the ones you are most likely have already seen, and maybe have used, at some time.This means they are readily available, have a long product history and you can feel confident using them in your electronics. The good news is that for most usage cases in typical households, all of the major brands will perform well. Most people buy batteries to have on hand to use in their remote controls, flashlights, travel clocks, cameras, etc. rather than for one specific thing at a time. It’s true that some batteries will be better for high current applications, others will be better for low current, and some best for the middle ground. Our recommendations are to buy the best value batteries from one of the top 5 name-recognized manufacturers, and you’ll get excellent performance over the life of the battery. Below are the best in class batteries; We follow this with a description of Alkaline versus Lithium Ion, and then about the testing / evaluation. The “Performance” line of batteries from Amazon gets our top marks. We recommend these over their “Everyday” line, which is less expensive but not as robust. At just over $0.20 per battery in bulk, making them about the cheapest of the major brands. They have similar power usage and dissipation curves as the name brand, but at nearly half (or more) the price. Amazon developed their batteries with a Japanese manufacturer, which has resulted in a patented triple layer structure in the cathode by adding a layer between the nickel and iron inside the battery. This gives the batteries a 10-Year Shelf Life, and an anti-corrosion coating that will withstand storage under high temperature up to 160 degrees Fahrenheit (70 degrees Celsius) and high humidity of up to 90% . And added safety feature is the “Short-Circuit Preventive Washer” (SPW) to prevent leakage and heat built up in case of misuse. Duracell is our other favorite, especially if you are buying at a Costco or other retail outlet, rather than online. You can find these just about anywhere, and they have a reasonable price per battery. These have the standard 10 year shelf life, with guarantees to be leak-free. If you have high current devices (above around 300 mA), you may find that the Duracell give a slightly longer life than the others on this list. Duracell has a stepped-up line of batteries rated above the Coppertop. The “Quantum” series of batteries are designed to last longer across a range of devices. These have a slightly different chemistry, using Alkaline with manganese dioxide. While we found these to be superior to the Coppertop, there is also a price premium for the added performance. Reviewing the power usage curves provided by Duracell, there is a slight overall improvement for the Quantum compared with the standard Coppertop. The most improvement is found for high drawn devices. You are also getting the “PowerCheck” feature. This is a light up strip along the edge of the battery to let you see the remaining power in the battery. Some people really like this feature, since you can get a quick visual “test” of the battery before using it. Others have had valid complaints that for tight battery compartments, the test strip is continuous activated. This uses battery energy and has a negative impact on the useful battery life. This brand may be more recognized for their automotive batteries, but they have been producing consumer electronics batteries for decades. Their “Super” line is targeted for high-drain digital devices like cameras, and they perform well there. They are also comparable to the others brands for across the board usage. For the environmentally conscious, these are 100% free of mercury and cadmium. Their premium line, the “FUSION” holds power for 12 years in storage, rather than the standard 10 years. For Costco members, you can get their Kirkland brand of batteries. For everyday use, it’s hard to beat the price of this bulk pack. The batteries work well across the typical usage cases and can be safely stored for up to 10 years. We pulled a few of these out to the battery drawer that are nearly 7 years old, and they still retained a good terminal voltage. There was no corrosion, and the batteries worked fine when we tested them. With Alkaline batteries, with average usage you can expect about 1,000 mAh (e.g., 10 hours at continuous 100 mA) of juice. For a very low power device like a mouse, trackball or keyboard, you can expect about 9 months to a year before you need to replace the battery; for a single battery bright LED flashlight you may only get about 1.5 hours of continuous usage. This capacity-curve is typical of all alkaline batteries. Their chemical composition means they have an internal resistance that reduces usable capacity at high discharge rates, so low power devices will last proportionally longer than high power devices. A Lithium Ion battery will typically weigh about 0.5 ounces, compared with 1.5 ounces for Alkaline. This 3x the weight usually isn’t an issue for most of the stationary devices they are used in. Also, Lithium Ion batteries can last about 9x longer than an Alkaline, and Lithium Ion have a 2x longer shelf life (20 years versus 10 years). The great advantage to Alkaline batteries over Lithium Ion is their low cost. It’s about $0.25 versus $1.50 per battery, making them around 6x cheaper. Which is your favorite or preferred battery brand?